The wonderful new historical novel set in seventeenth-century England from Rose Tremain, author of Restoration (shortlisted for the Booker Prize), The Road Home (winner of the Orange Prize) and Trespass (a Richard & Judy pick). 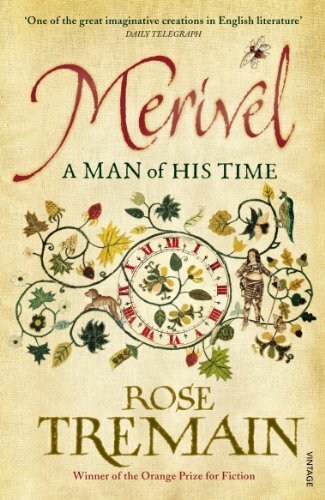 Merivel has been called ‘wonderfully entertaining’ (Guardian Books of the Year) and ‘an unadulterated delight’ (Independent) and has been shortlisted for the Walter Scott Prize for Historical Fiction. The gaudy years of the Restoration are long gone and Robert Merivel, physician and courtier to King Charles II, sets off for the French court in search of a fresh start. But royal life at the Palace of Versailles – all glitter in front and squalor behind – leaves him in despair, until a chance encounter with the seductive Madame de Flamanville, allows him to dream of a different future. But will that future ever be his? Summoned home urgently to attend to the ailing King, Merivel finds his loyalty and skill tested to their limits.